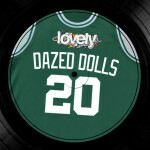 We are delighted to welcome this great artist named Dazed Dolls. Print strength and temperance. We can hear rhythmic bass taken from classic and exciting machines.